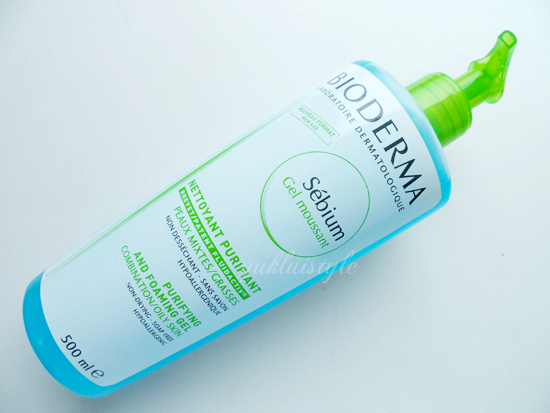 Bioderma Sebium Purifying and Foaming Gel 500ml: around 12€? This is available in 2 sizes, 200ml and 500ml. The 500ml isn’t available in the UK however you can purchase the 200ml from http://www.escentual.com (UK based) for £9. Very first time using this, it didn’t make much of a difference to the oil control (I have combination/oily skin), however after a few more uses, I could tell that it had started to control the oil secretion after using it day and night. It gives me the clean, fresh feeling after each use without making me feel oily. It removes any makeup I may have missed or not thoroughly removed effectively. Wouldn’t recommend using this around the eye area though. Oil is controlled for about 6-8 hours after I have applied the rest of my skin care. Although this says it’s suitable for combination to oily skin, I did find that it was a tad harsh and drying on my cheeks when used twice a day. So after my week trial, I would probably use this once a day all over my face or twice a day, just only on the t-zone. When it’s summer, I’d probably be able to use it twice a day all over my face. This doesn’t have any exfoliating properties so you will still need to exfoliate once a week with a different product. Since it is soap free, it hasn’t irritated my skin leading to no further breakouts. This hasn’t really done much to my spots other than control the breakouts rather than help get rid of them. There’s a peach apricot ish scent which isn’t bad. The packaging is great as the pump allows me to control the amount of product without wastage as well as ease. I’ll need around half a pump per wash which is enough. Sometimes I may need a full one. This 500ml one will last me ages. If I was to go to Paris again or other places in France, I would repurchase the 500ml size. 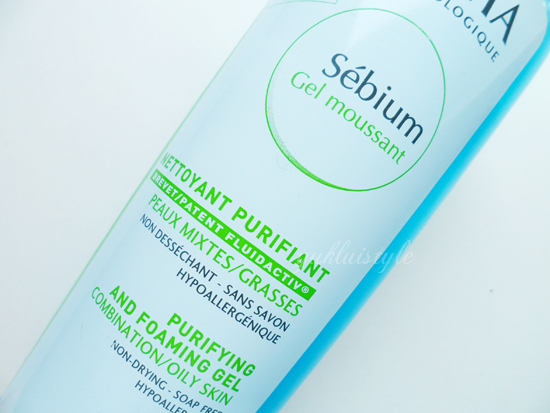 For now, I will repurchase it from http://www.escentual.com. This can be pricey depending on where you’re based, however, I would repurchase it for £9 online. 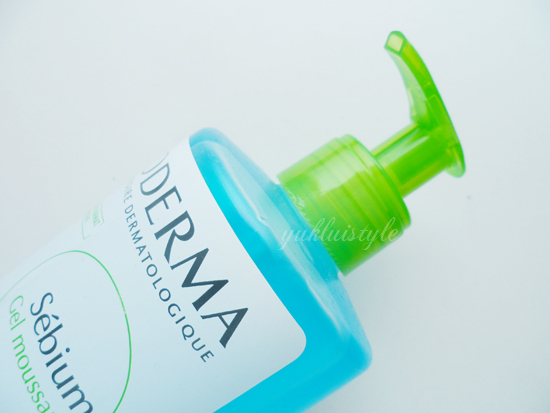 For better oil control, I did find using it in conjunction with the Bioderma Sebium Global intensive purifying care which I will review later this week. Next Post Quickest Way to Curl Your Hair? They are!? I'm in the Philippines and haven't seen Bioderma anywhere! Where can I find it? wish they sold them around here, sounds good! Bioderma products are available at http://www.kallony.com.ph/. I just don't know if they have the purifying and foaming cleanser.